Most of us use Preview or Photoshop to crop and edit photo files, but what about audio files? That’s a whole different story. Many people have the difficulty of searching and downloading a good app that can easily crop or trim an audio file. Today I’ll be showing you how to use iTunes to perform this operation. Cropping an audio file is useful if you want to remove extra sound from the beginning/end of an audio file, or it you want a small portion of a sound file to use as a ringtone. 1. 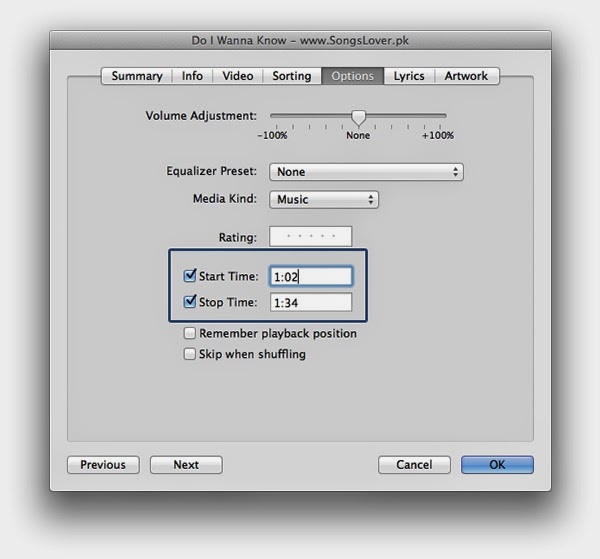 Open your audio file in iTunes by clicking on it. (If you have set another audio app such as VLC, Vox etc. as your default media player, simply right click the file and “Open With -> iTunes”). 2. Once you have the file selected and in front of you, press “Command + I” or right-click the file and select “Get Info”. 3. In the Options tab, enable the checkboxes for Start and Stop time. Now enter the time portion of the song that you want to crop. Once done, click Ok.
4. Now right click on the file and select “Create AAC Version.” This will result in a new audio file being created which is of the exact length you specified in the “Start” and “Stop” boxes. 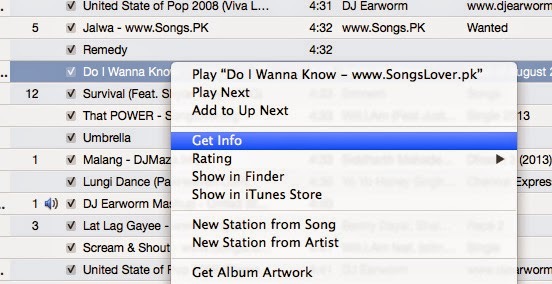 iTunes will play a “ding” sound once the new version has been created.